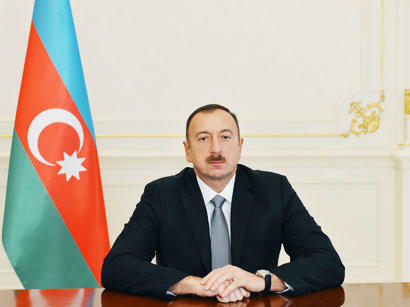 Azerbaijani President Ilham Aliyev signed an Order on declaration of year of 2017 a Year of Islamic Solidarity. The Order says Azerbaijan was one of the main centers of Islamic Civilization for many centuries. The country played an important role in spreading out religion of Islam and re-establishing the Islamic Renaissance. All of these created conditions for formalizing the material and non-material heritage of religion of Islam. By being elected as the member of the Organization of Islamic Cooperation, ISESCO, as well as other prestigious organizations Azerbaijan established mutually fruitful relations with the Muslim world. Azerbaijan also acted as an organizer of the several important global cultural forums. The country also gave great contributions to forming the tolerant environment, establishment of the multiculturalism and inter-cultural, inter-civilizational dialogue and popularization of the Islamic values in the world. Holding the 4th Islamic Solidarity Games in Baku in 2017 creates fruitful condition for taking other steps for strengthening the Islamic solidarity of the country. The aim of the order is to provide the strengthening of Azerbaijan`s unique position in re-establishment of the Islamic solidarity.